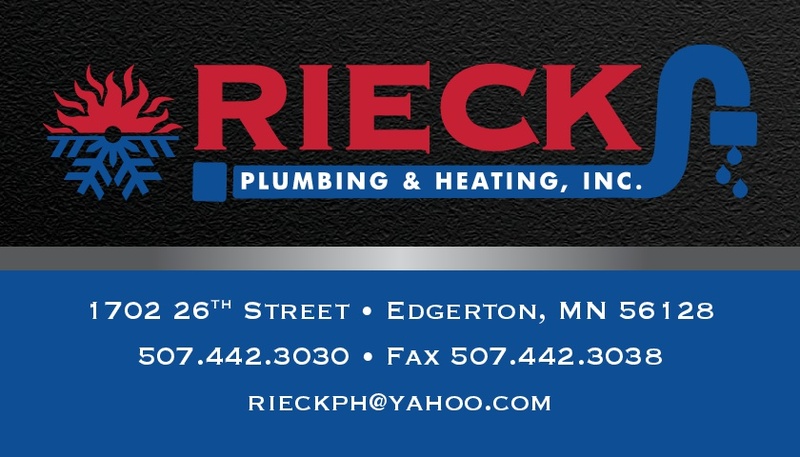 Edgerton, MN Air Conditioning Company | Air Conditioning Company Edgerton, MN | Rieck Plumbing & Heating, Inc.
As a locally owned and operated company, our business depends on building strong bonds with those in the community. That is what propels us to provide the finest services possible. Once you call on us for AC services, you’ll learn why so many in the area hire us time and time again. We are here to serve the area Monday through Friday 8:00 am to 5:00 pm. Our team is proud to serve residents throughout Edgerton, MN, and the surrounding area. Contact us today to schedule an appointment.